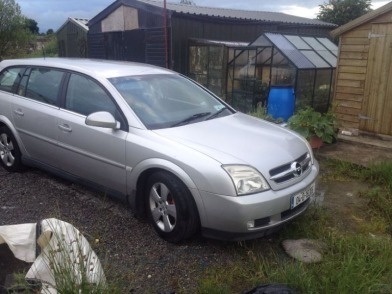 since purchasing my vectra b 140 ecotec(x20xev)it has suffered from lumpy idle and non exsistant acceleration in 1st and 2nd, but get it in 3rd and its away with no symptoms. I have been told it could be a number of things..... knock sensor, cam sensor, am at the point now at pulling what hair I've got left out!, please help. Hi mate, not sure how much help I can be, I have a Corsa b with a x14xe engine, but it sounds like it could be the air flow meter. Number one candidate I would have said. But if it doesnt start properly, I would start off with the easy, cheap things first like an air filter, spark plug and lead change, see if it makes any difference. If you need any more info, ask the guys on http://corsasport.co.uk/ They will know a hell of a lot more than me. Hope this helps buddy Good luck getting it sorted. It may be the idle air control valve. It's located to the left side of the throttle body as you look at it. It is silver and cylinder shaped. Tap it while the engine is at idle and see if the revs fluctuate.. This can be removed and cleaned (with carb cleaner) if the revs faulter. It sounds as if it could be a misfire, caused by an HT lead, or coil pack (more likely a lead). These can be diagnosed by pulling each lead off in turn and seeing if the engine splutters. You need to have an insulated lead puller,to avoid getting a shock!! If any of the leads have oil on the bottom, this could be the cause. That will be down to a leaking rocker cover gasket. If it does happen to be a cam sensor, it will not rev over 4500 revs, even at a stanstill. Any other sensor should also put the em light on. Steve, RAC patrol. hey, hey, hey, sounds like your the man to know! Will get on with said fault finding, cheers Steve, your a diamond geeza! Hi Paul, just reading your feeds.The vectra's are also known for their crankshaft sensors which are located on the bottom left side of the engine behind the manifold heat shield.this causes a lumpy tickover and loss of power also. ps,if your plug leads are sitting in a pool of oil as suggested before ,dont buy a cheap rocker cover gasket ,its false economy. Go for the proper vauxhall one it will save you a lot of bother. Cheers Paul thanx for the info, vauxhall gasket it is then!. kk will do. funny you should say tho jus brought a idle control valve and am about to fit!, if its not that and something else will let you know, us veccy drivers av to keep together!. Well, I just got mine back yesterday (1.8 16v 1998 R plate). Had a good bit of work done. New Cylinder Head Gasket, Head skim, Cambelt, Water Pump, Cam Sensor etc. It now has a lumpy idle as described in this thread, but no loss of accelleration, and I'm reckoning that it could be some crap on the plug leads. Had a similar problem with a Corsa recently and replacing the plug leads sorted it right out. Before I had the Vectra looked at, the revs were limited. According to the mechanic, it isn't limited now but I haven't had chance to find out and I'm reluctant to flog it's brains out with just having the head done. Taking mine to a friend who is a mechanic to get it looked over today. Hopefully, will have an answer after that. Damn! Forgot to post up how I got on. It was an Inlet Manifold that was functioning like an Outlet Manifold instead because of a leaking gasket. Basically, when the head had been done, they hadn't done all the gaskets as they should have. Steve can you help me ? I have a 1995 16v eco tec calibra.when I start up in morning the engine revs initially are erratic dropping low even stalling.I could live with this but recently I could be at a standstill and the engine will just cut out dead then I can be moving at any speed and it will momenteraly cut out and then instantly restart maybe causing a backfire.Now I dont know if it is related after it stopping and starting the ecu light comes on but if I turn ignition off and then on it will disappear until the next occasion.Im hoping that you are going to say that if I clean out the icv it may cure it and im hoping you dont think its the ecu.!!!!!!!! mileage 80,000 thanks for any help. I have the same problem as trevm. I have a 1998 Tigra 1.6 16V ecotec, problem only started after having another engine put in, what could it be? cheers. Hi Paul, My veccy has an idle problem reving up and down between 400 and 1200 at traffic lights after the engine is warm, it has a K+N air filter on, im hoping its the ICV but think it just doesnt like the big air filter, a friend has the same problem, might be worth trying the original if you have a sports filter on. mine hasnt got the lack of power when moving though. i have a similar problem, when idle the cars revs drop to the point where it almost cuts out then bck up and so on, but sometimes it can b fine. i dont have a problem with acceleration though? hi bud i have a 2.5 vec and it was doing exactly the same thing turns out it was an o2 sensor (small black sensor on the induction tubing behind the air filter) replaced that and it was fine. managed to get smoother acceleration by uprating the fuel pressure regulator as well. only cost £20 from vauxhall so worth doing. Hi all ive got a vectra 1.6 16v and mine idle's at 1000+ and acceleration is shite,as soon as i hit an hill its down to 3rd gear i go or overtaking some prat doing 45. plz help. Hello all,Ive recently looked at my vectra again and ive taken the whole Air Box system off the Throttle body and used CARB CLEANER to clean the SLIDE in the top of the throttle body and that has helped the tick-over problem but the acceleration is still stiff and and a bit jerky when trying to balence the speed at about 30-40mph. Can anyone help me? I have a 2001 Vecra 2.2 auto, its reporting a general misfire, has no power, fails to change gear properly as at just over 4000rpm the engine starts to splutter etc, releasing the throttle alleviates the problem but that does not help going up hill! It occurs out of gear also, when the spluttering occurs, i let off the throttle and the car splutters and judders for about 20seconds before seeming to clear. I have a mechanic ready to fix but am having trouble diagnosing the cause. Guys my Opel corsa lite 2006 have a funny little problem, it start well engine runs smooth bt when it suppose to rev @ 1000rpm it slows just below and then the engine control light goes on... But as soon as the engine is heated up it doesn't do non of that... Wassup? Hello, I have Opel Vectra 1.6 1999. The problem was when the car got warm or in damp weather it begin to misfire. When using much electry (If I put the blower on full it begin to misfire) It begin when the coil pack went bad. I bougt new one (aftermarket, Vimo) It wnt well for a few weeks then the problem begin. I have change all sensors and clean the EGR valve witout any luck. Then I bout original Coil Pack (GM) and everything is going great. NEVER buy aftermarket Coil Packs, it seem stah this type of cars are sensitive for electrical swings. Hope this helps. Hi...Just a quick question....Is there another engine that can be fitted in a 2004 vectra estate.2.2 petrol???.. My Astra 2000 1.8 started having lumpy acceleration about half a year ago, two mechanics said they could not fault it, last week it really started having rough idling on startup until it got warm, it even stalled after racing and slowing so I took it back. Initially they could not fault it so I said let it get cold and try a test run, they said as soon as they got to 30 kph they felt the fault. I showed them this log and pointed out a few solutions, they had a look but deduced it was running too lean, worked out that it must have carbon buildup somewhere. They cleaned the air mass meter and throttle body and then retested and invited me to road-test and it is like NEW. HOORAY. Get your mechanics to check for carbon buildup. they also cleaned all hoses. Hi i need a bit of help please. When driving I get fuel starvation. I just lift off the throttle and press again and it gose ok. What could this be. Looking for a used Vectra in your area? CarGurus has 177 nationwide Vectra listings starting at £799.